Making a Willow WreathThis is a guide about making a willow wreath. 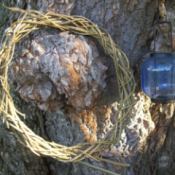 If you or a neighbor have a willow tree you can make your own willow branch wreath. Maple Syrup Snow RecipeThis page contains a maple syrup snow recipe. This time honored treat is easy to make even with syrup from the store. 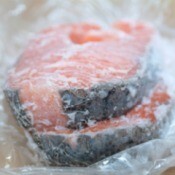 Thawing Frozen FishThis is a guide about thawing frozen fish. 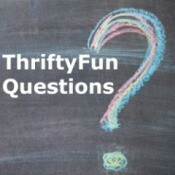 There are some best practices associated with thawing frozen food of all kinds. 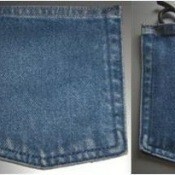 Making a Jeans Pocket Scissors PouchThis is a guide about making a jeans pocket scissors pouch. A folded and stitched jeans pocket is perfect for storing and carrying a small pair of scissors in your purse or craft bag. Making a Pot Holder Scissors PouchThis is a guide about making a potholder scissors pouch. 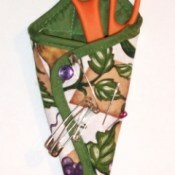 A pretty or seasonal potholder is the first step in making a simple scissors pouch. Crockpot Rustic Ham and Potatoes RecipeThis page contains a crockpot rustic ham and potatoes recipe. 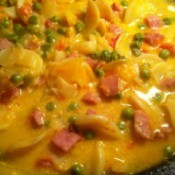 Boxed potatoes, fresh and frozen veggies along with cheese combine to make this tasty crackpot meal. 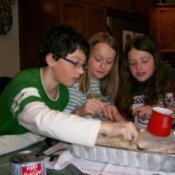 Making a Tree Branch Star DecorationThis is a guide about making a tree branch star decoration. 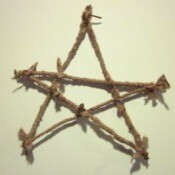 You can make an attractive star decoration from pieces of a tree branch. Painting a Branch for Home DecorThis is a guide about painting a branch for home decor. 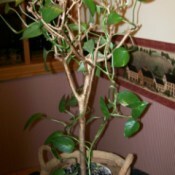 You will be pleasantly surprised how nice a painted branch can look when used as part of your home decor. Making a Twig Flower VaseThis is a guide about making a twig flower vase. 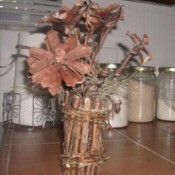 Using items you have collected from nature can make this twig vase filled with pine cone flowers. "You've Been Elfed!" 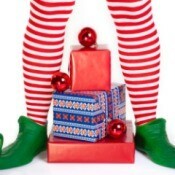 Christmas GameThis is a guide about "You've been Elfed!" Christmas game. This seasonal neighborhood gifting game is fun for all who join in. Making a Garden Witch From TwigsThis is a guide about making a garden witch from twigs. 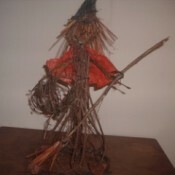 This cute Halloween witch is made from twigs you can collect from your garden or neighborhood. 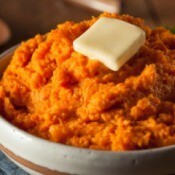 Dreamy Mashed Sweet Potatoes RecipeThis page contains a dreamy mashed sweet potatoes recipe. This creamy and sweet dish is the perfect side to a savory main dish. 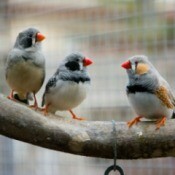 Introducing a New Zebra Finch into the CageThis is a guide about introducing a new zebra finch into the cage. New birds like other pets need to be introduced to resident birds to ease stress and hopefully establish a lasting companionship. 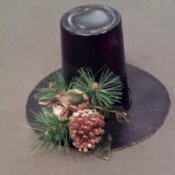 Decorative Top Hat Table DecorationsThis inexpensive decoration can be made so eloquently, you can use it now and thru the winter months. These look like the top hats you'd see on old Christmas movies. 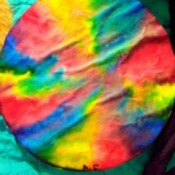 Markers and Coffee Filter Spray ArtThis is a fun art project which is simple. First, a coffee filter is colored with markers, (not permanent) in no particular design and sprayed with a spray bottle filled with water. Repairing Heat Damage to Velvet FabricI had on a brand new velvet top and held up a lit birthday cake too close to my top. The fabric did not get a hole burned in it, it just changed colors and you can see a round spot where it is lightly singed. How can I restore the original color/fabric? Repairing Fiberglass Siding on Popup CamperI am looking to see what it should cost to professionally repair the fiberglass siding of an older pop up camper. There is damage to the two front corners. 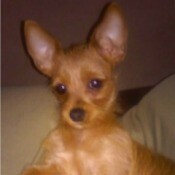 Dog Aggressive Towards OwnerI have a 1 year old female Chorkie and I take her to my friend's house to watch her when I am gone. She started liking it too much there because today when I went to pick her up she growled and tried to bite me, she didn't want to go with me. Riddle: What Has Many Doors But No Rooms?What has many doors but no rooms?